A new game coming onto the scene is right up my alley. 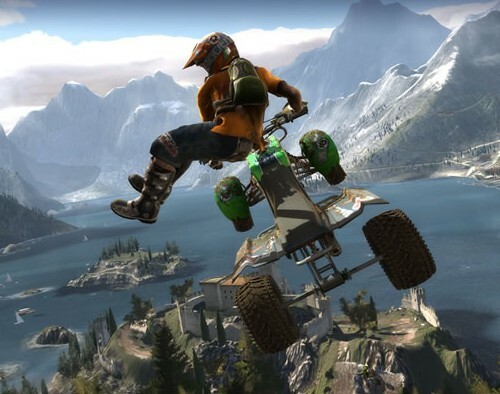 “PURE“, from Disney Interactive Studios, is an ATV-based/quadrunner racing game that is all about speed, tricks, and having fun! It really is. 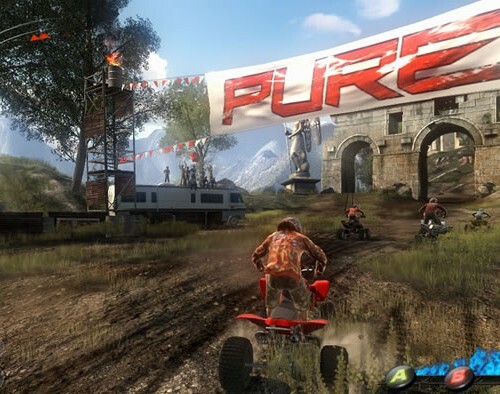 If you remember games like Motocross Madness or the Rallisport Challenge series, then you’ll probably enjoy PURE. It’s easy to learn, fun to look at, and very entertaining to perform the various stunts. The Xbox 360 demo of PURE is about 1.1gigs, so a fairly meaty download. Once downloaded, though, the fun begins. The demo starts with a quick, throw-you-into-the-action tutorial where you learn basic driving — though they don’t tell you how to accelerate (use the right-trigger), which is strange — pre-loading before jumps, basic A-button stunts, boosting, and finally putting them all together. The tutorial ends when you’re able to complete a lap of the tutorial track in 27 seconds or less, which will require atleast one stunt and the corresponding “boost”. A lot of games use similar tutorials where you are learning the game by playing the game. I like that method. Once you’ve completed the tutorial, you have access to a full level that is set in Italy somewhere, and the visuals a bee-ooo-ti-full. Let me re-emphasize how great they look. They really do! And what does one do with a nice looking Italian countryside? Beat the heck out of it with 16 ATVs + riders, naturally. What’s nice about this track, however, is that it provides plenty of opportunities for driving fast, lots of jumps, multiple paths to accomplish the same result, and, of course, a few insanely ridiculous jumps! As you successfully perfrom stunts (and land them), you start building “boost”. You can either use the boost to go faster — which may be necessary if you’re far behind — or you can allow the boost to accumulate, which grants you access to better, more complicated stunts. 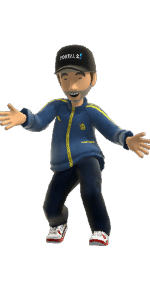 Initially you use the A button for stunts, but with enough boost accumulate, you have access to the B button range of stunts, then the Y button, and finally the ‘super’ stunts — using the bumper buttons — and those are hilarious. Honestly. I found myself laughing out loud at how silly they were, but they’re also a lot of fun. Is it absolutely critical to perform stunts to win the race? 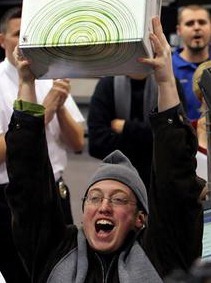 No, actually, as my son was able to come in 1st without any stunts at all, but it’s not as much fun. I’m also guessing that the full game will feature levels requiring “boost” to complete it, and also a scoring system that places a premium on pulling off increasingly more difficult stunts. It’s all in good fun. My verdict? This game is a winner if the genre appeals to you at all. 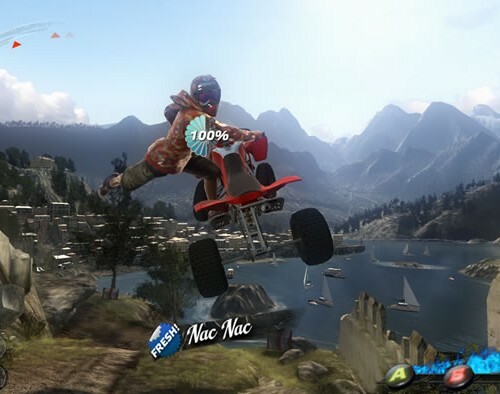 It most definitely accomplishes what it sets out to do, and I’m guessing that the full version — complete with 48 tracks, online multi-player, and 80 different stunts — is even more fun. Despite the over-publicized HD DVD vs. BluRay war, I think that there is little doubt that the future for media distribution — of all types — is really heading toward downloadable content, if it’s not already there. Folks are puchasing CDs less, and opting for iTunes, Amazon MP3, Rhapsody MP3, and other “subscriber”-based methods (Zune, Rhapsody) for their music. Love it or hate it, that’s what people are doing. The same goes for movies, and will continue to head in that direction as the content is made more readily available. 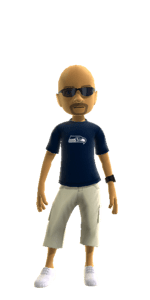 Well, today Microsoft has announced the very next step in this process: a partnership with Netflix to allow streamable content to the Xbox 360 console. The recently released $99 Roku player for Netflix was an amazing release in its own right, but the announcement today is MUCH bigger for many reasons. 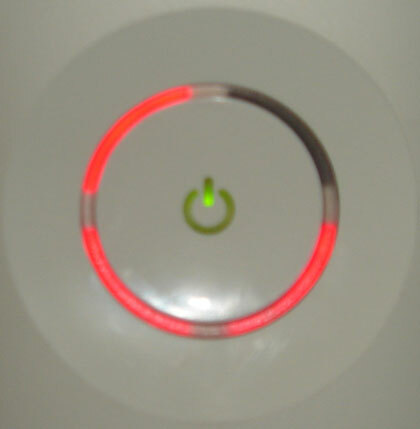 First of all, there have been over 10 million Xbox 360s sold around the world — most of those in the United States. The majority of those 10 million units are now *instantly* capable of acting as Netflix streamable devices. Secondly, there are over 8 million Netflix subscribers. I’m guessing that a great many of these Netflix subscribers also own an Xbox 360. Congrats! Now you’ll be able to get Netflix content on your media console!! Thirdly, this is a big win for two media-centric companies: Microsoft and Netflix. 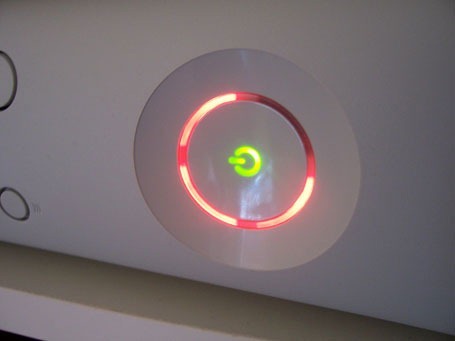 The Xbox 360 will now have more media content available than ever before, while Netflix will certainly broaden it’s customer base. In fact, I wouldn’t be surprised to find out that Netflix gained thousands of subscribers shortly after today’s announcement! This move will have its share of detractors, I’m sure. 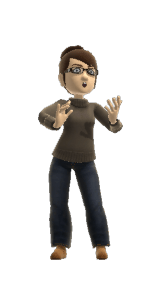 For starters, you do need to have the Xbox Live “Gold” membership — as well as a Netflix subscription, of course — to be able to access the Netflix content. You know what? It only makes sense, as Microsoft needs to make some money in this deal too. For $40, you can purchase a 12-month Xbox Live “Gold” membership from NewEgg.com. Done deal. Also, may will lament about the (currently) limited “streamable” library offered by Netflix. Fair enough. Be on the lookout, though, because that library will certainly continue to grow in the coming months. Netflix has every reason to increase their streamable content base. Looking forward to the fall release of this technology update!